The honey loving Winnie the Pooh and all his memorable friends from A.A. Milne’s beloved books return to theaters for the first time since Pooh’s Heffalump Movie in 2005. This animated Disney movie is runs 68 minutes, but audiences still their fill of sweet moments, heartwarming story, and clever yet subtle comedy. 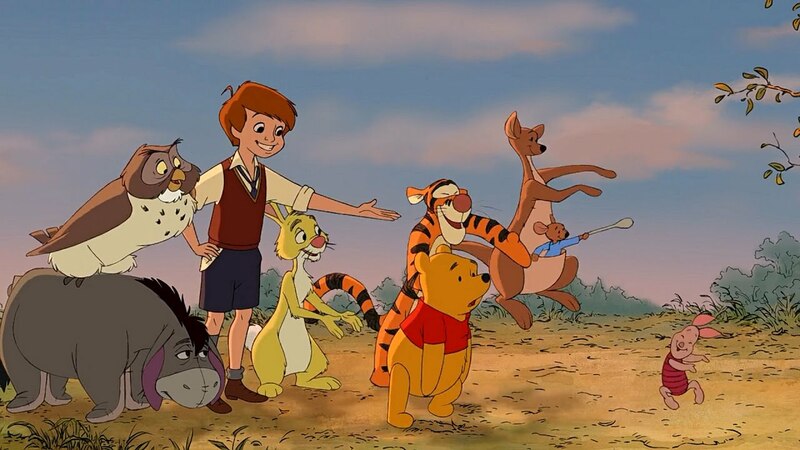 The latest Hundred Acre Wood adventure has the classic hand drawn animation as directors Stephen Anderson and Don Hall keep the action and laughs coming fast. The visuals stay incredibly sharp thanks to digital background and scanned animation from authentic animator drawings. Essential character voice talent returns as Jim Cummings, provides the voice of Pooh and Tigger and Travis Oates voices Piglet. Bud Luckey voices Eeyore while popular late show host/comedian Craig Ferguson voices the seemingly knowledgeable Owl. Main characters like Rabbit, voiced by Tom Kenny, and Christopher Robin, played by Jack Boulter, are joined by a mysterious Backson creature. John Cleese provides outstanding narration as the appealing story features a special live-action opening sequence, Owl’s chalkboard drawing sequence, and visual text sequences where character maneuver around the book. The textured chalkboard sequence is just as good as any 3D effect while Pooh’s honey based fantasies. Zooey Deschanel serves as the film’s musical narrator while Tony Award winner Robert Lopez creates some amazing new songs like “A Pooh Bear Takes Care of His Tummy” and “A Very Important Thing to Do”. Henry Jackman handles the musical score. This all ages, 85-year-old franchise still has amazing impact and memorable scenarios thanks to an amazing cast and crew who respect the timeless values and appeal in the series. Audiences can easily find a spot in their heart for this film. Each character shines in their own way while mature audience will enjoy the nostalgic elements. Highly recommended (***1/2 out of four stars) and rated G.
This entry was posted in 2010s Film Reviews, Film Reviews and tagged Disney, Film, Michael Siebenaler, Mike Siebenaler, Tall Writer, Winnie the Pooh. Bookmark the permalink.